Sometimes when life is going well, the temptation is to think you’ve got this…God can take a step back now and just let you manage life for a bit. Well, maybe that is not YOUR temptation, but that is certainly mine. Similarly, after the extended period of being so completely reliant on the Lord for everything, when the Handy Man finally found a job, we thought we were finally in for a time that would be easy compared to the time before that. We were wrong. The Handy Man is employed, and we are grateful; and while all our basic needs are being met, there are some financial obligations we are still not able to fulfill, like replacing worn out cars. It is a time both frustrating and full of hopeful expectation. There are no illusions: we need the Lord for physical as well as spiritual provision. Yesterday Star Child brought a veritable posse home with her: Boy 4, Six, and two other as yet unnamed and unnumbered girls. Seven showed up right behind them, and Eight made a short appearance as well. 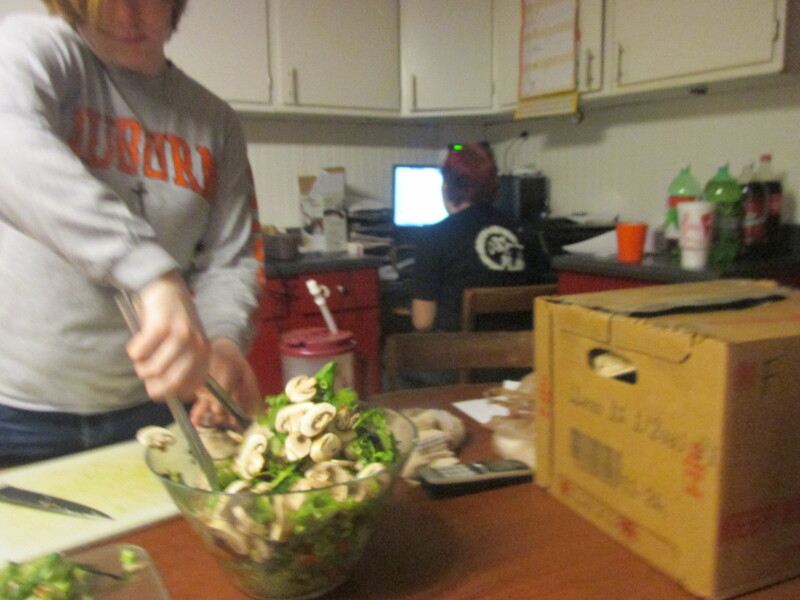 My kitchen was full of late-teenage-vigor and humor as they made themselves at home. I had prepared a huge lasagna and a few desserts to feed the crew. Seven made a salad. The two new girls found baking cookies to be a therapeutic way to relieve some stress. (One of them was completely at home in my kitchen despite never having set foot here and made peanut butter cookies from scratch by memory. The other one had never made cookies from scratch and asked to help me when I declared my intention to make some chocolate chip variety.) Star Child and Six washed their clothes while Boy 4 enjoyed the delights of making himself a fried egg sandwich. It was a chaotic mess of people stumbling over each other, trying to find pans and ingredients, different kids taking over the task of washing dishes, unloading and reloading the dishwasher. It was delightful. While my kitchen buzzed with baking, conversation, inside jokes and the general chaos of our home, my sister and brother in law arrived with Star Child’s new car. 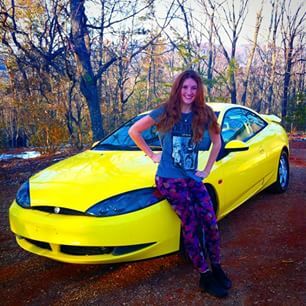 I had prayed about this a few weeks ago: boldly asking God to give us a car for her. And did He ever deliver! 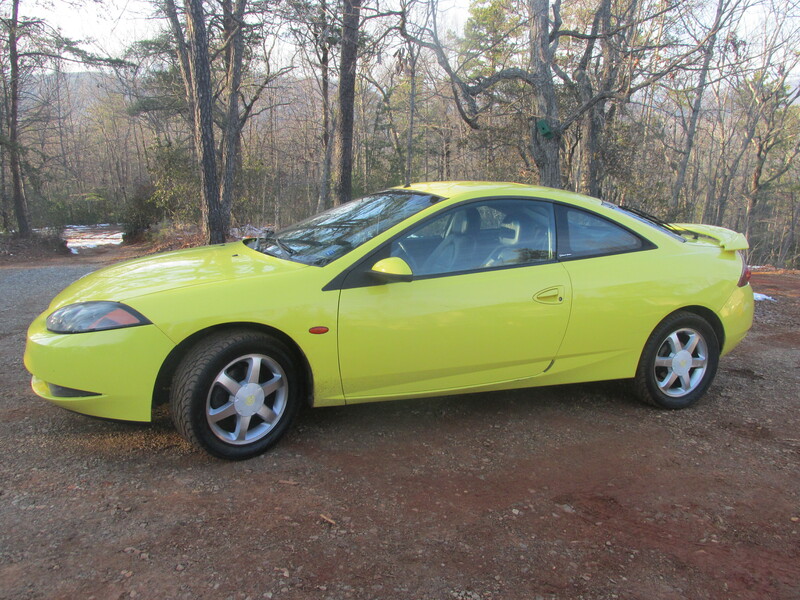 It is gorgeous car with leather interior, a six CD changer, brand new tires, new brakes, and all maintenance up to date. My brother in law had washed it inside and out, had done all kinds of small repairs to it, and even brought it to our girl with a full tank of gas. 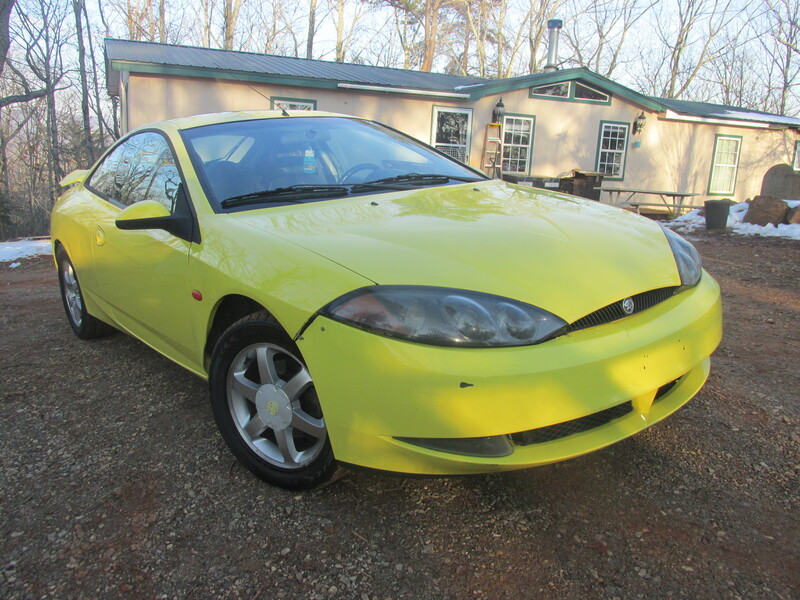 It has some minor (superficial) body damage, and the sun roof doesn’t work….but honestly, it doesn’t look fifteen years old, either, which it is. You know, sometimes we ask God for things with half-hearted expectation. All I can say is that the Lord sure did deliver! My sister was laughing about the color. It is bright, isn’t it? She said I should have specified anything but YELLOW. (We all agree that this car is a Transformer…my sister says it is a Decepticon because of the aforementioned sunroof flaw.) When I see that yellow, I am going to be reminded each and every time of how amazing God is, how much He loves us, and how He cares for his children. Boy 4 was in awe. I know his faith was built a little more. I know mine was. I suspect Star Child will hesitate a little less to ask God for big things, impossible things. Sometimes the discouraging times are the times when God is moving in ways we cannot comprehend or see. Scripture tells us that God is able to do exceedingly abundantly above all the we can ask or think (Ephesians 3:20). This is an astounding promise. And yet, how often do I really believe that He WILL do just that? I do believe it because I have seen His faithfulness OVER and over again, but my unbelief is revealed in how often I simply neglect to ask. When my children were little, I felt like all I ever did was tell them “no”. Several parenting seminars later, I started to look for the ways to say yes. “Yes, after you eat your dinner,” to the request for a cookie. “Yes, after you room is clean,” to the request to play with a friend or outside. “Yes, after you finish your school work,” to the request to play computer games. I had to learn ways to say yes because after so many no answers, my children eventually stopped asking. God is not like that, you know. He delights in telling us YES. His grace is not dependent on OUR perfection. He is not waiting for us to get our collective acts together before blessing us. He delights in blessings His children! And He always wants us to ask! And often, He will answer in the most unusual and remarkable ways. 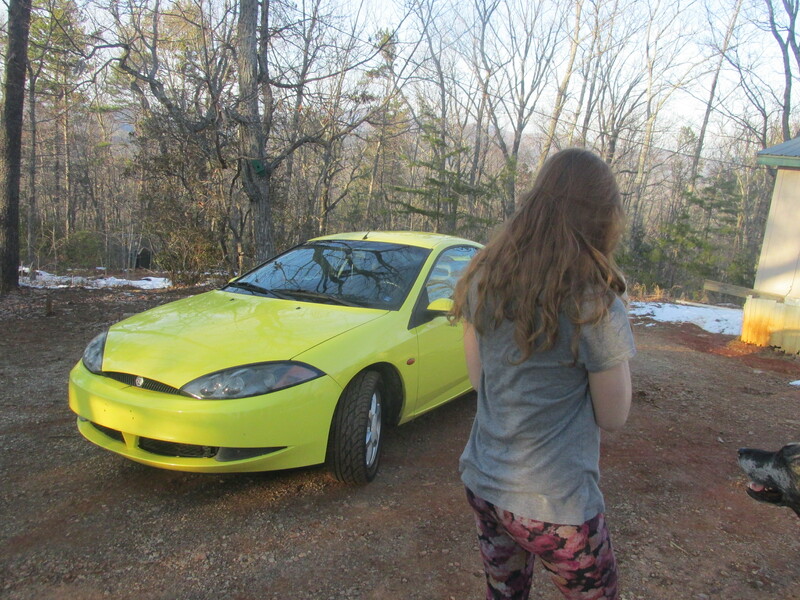 This time around, it was a bright yellow sporty-looking car. Psalm 37:4 tells us to delight in the Lord and He will give us the desires of our hearts. When we are walking with God, He gives our hearts new desires, and then he delights in fulfilling them. How amazing is that? God knows our needs before we even ask Him. In Matthew chapter five, Jesus assures us that God will meet our needs. The Bible is FULL of references to God’s provision. Maybe the issue is not what I don’t currently have, but rather what I have not asked. I think maybe I will ask a little more often. This entry was posted in Uncategorized and tagged adult children, blessings, busy family, Christian Living, financial hardship, God's grace, provision. Bookmark the permalink. Thanks for this, Andrea! A beautifully exciting glimpse into God’s goodness & love for you. Missed you yesterday. Thanks, Ann! I was teaching the children yesterday. I missed seeing so many!